Purchased from The Fort in Fresno. 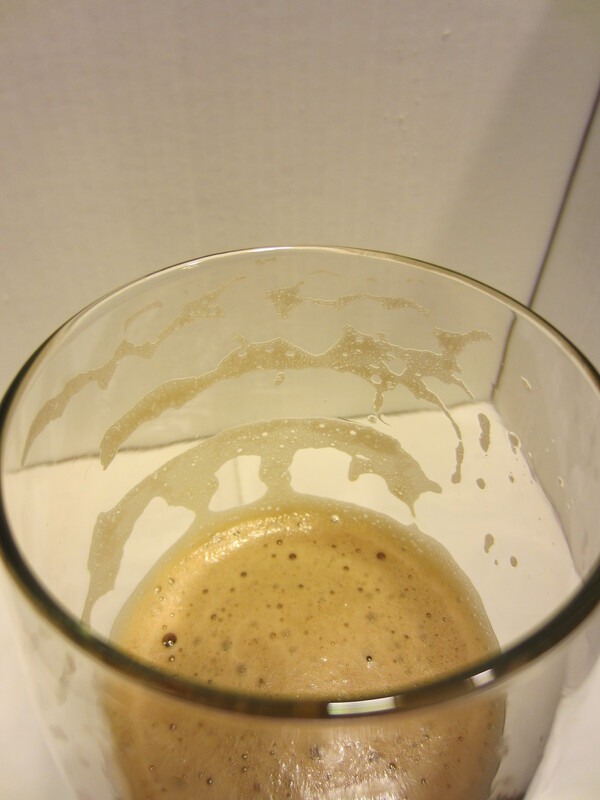 Poured from a 22 oz bomber into my Libbey porter/stout glass. Black in color, with a hint of ruby red coming through. 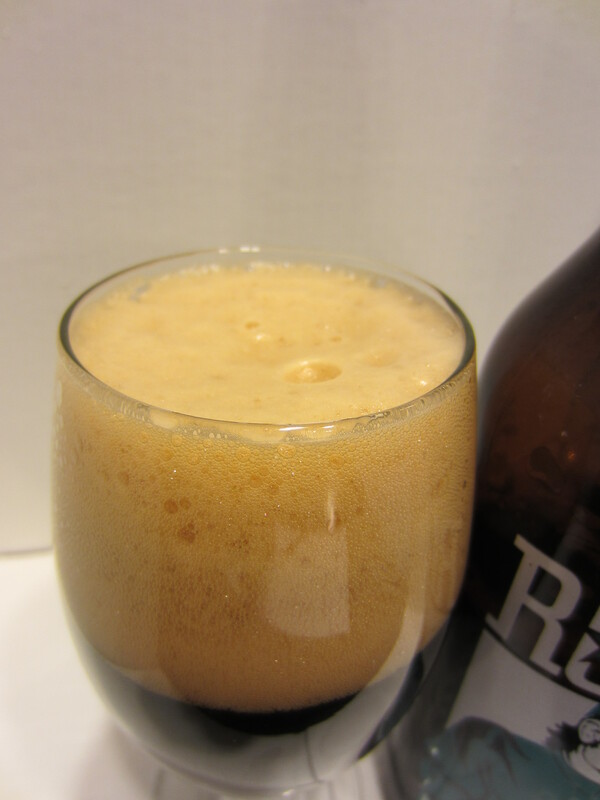 A large light brown/tan head is poured, no carbonation is visible rising up in the glass, and solid lacing is left throughout. Roasty chocolate malts, caramel malts, a hint of dark-roast coffee, and a touch of lactose sweetness. Medium thin bodied, finishing with moderate bitterness. 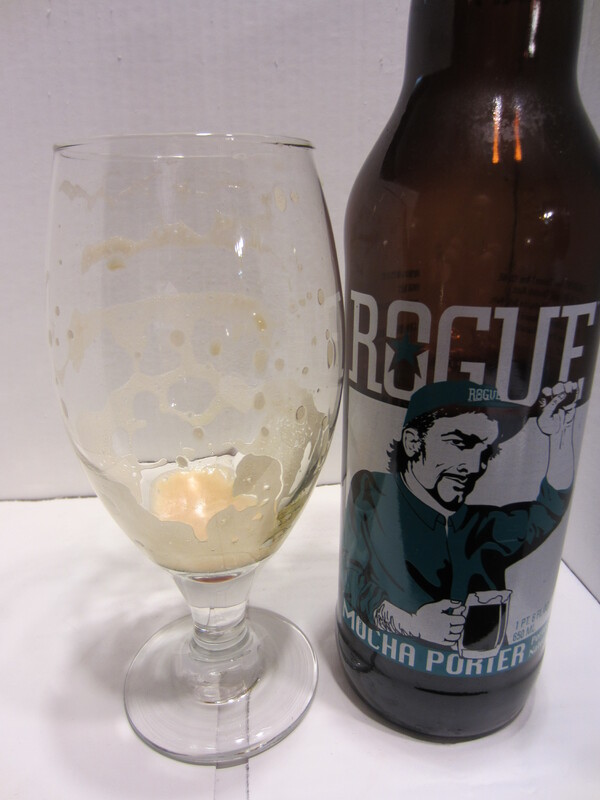 The initial flavor is of sweet malts, leading to an aftertaste of roasted chocolate and coffee, as well as noticeable bitter hops. 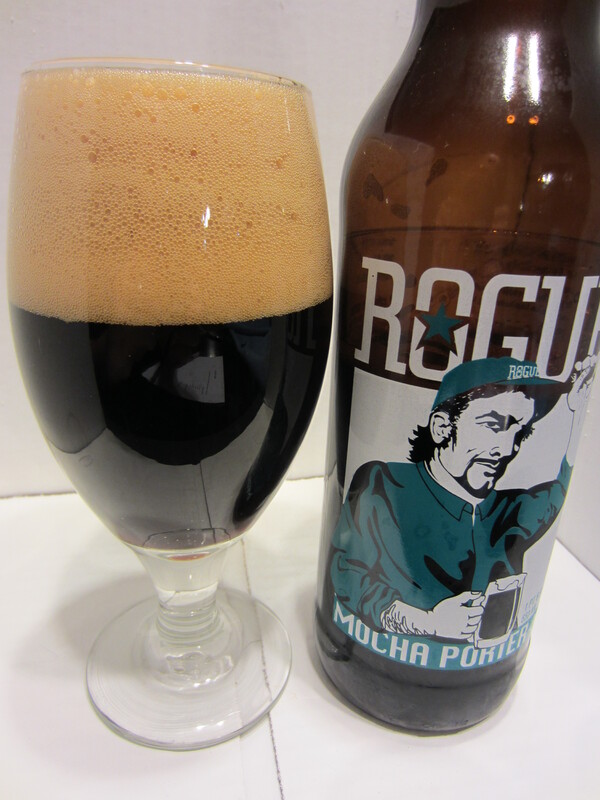 Chocolate flavor and a roasted mouthfeel linger on the palate. 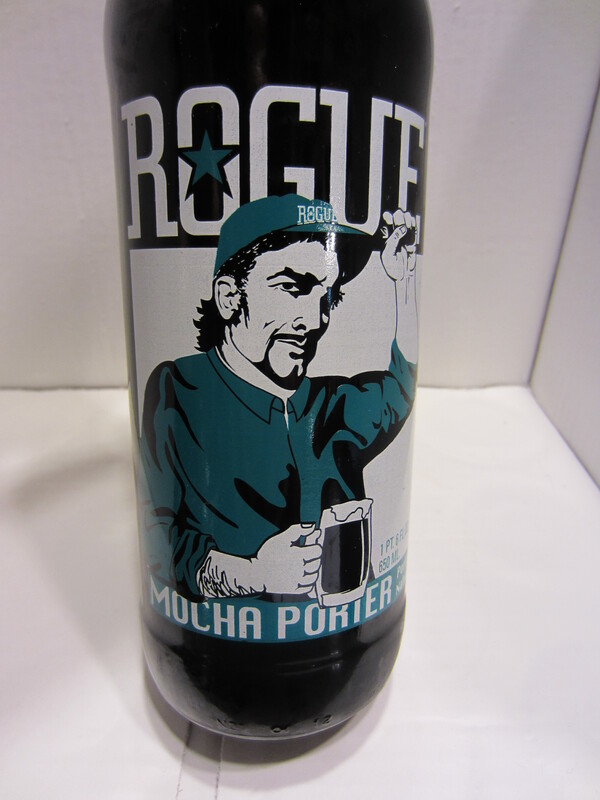 Pingback: Beer #194 – Rogue – HazelNut Brown Nectar | A life just as ordinary.